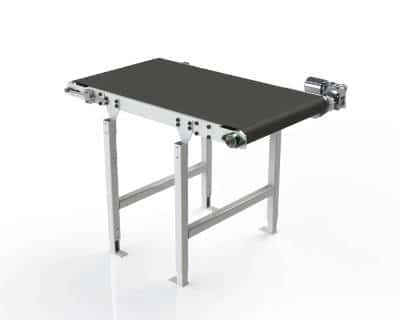 Our configurable PVC Belt conveyors are designed for the transport of various low weight materials. They can be designed to meet the hygiene standards for food contact materials with, food-grade belts and stainless body options. Why choose our Belt Conveyors?